UPDATE: There will be no skywatching at Old North Durham Park on Saturday, April 13 due to inclement weather. UPDATE: Join us at Fullsteam Brewery (726 Rigsbee Avenue) from 2pm-6pm get hands-on with a few featured lunar actives and watch NASA’s restored footage while you enjoy a specially made beer to honor the moon landing. All ages welcome! If weather allows, outdoor skywatching will be held on Saturday, April 13 at Old North Durham Park. 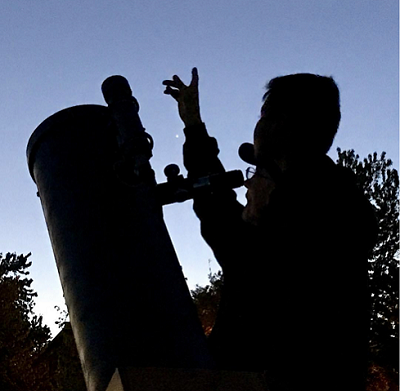 Celebrate this year's NC Statewide Star Party by adventuring "To the Moon and Beyond". Our knowledgeable staff will provide high powered binoculars and telescopes for high quality viewing and will feature astronomers from the Chapel Hill Astronomical and Observational Society (CHAOS), NC Central University, and our very own Durham Parks & Rec! Learn more about all things space: meteor showers, planets, stars, and of course, the moon! Dress for the weather. This program is free and does not require registration. Children must be accompanied by an adult. In case of a cloud out, the program will be held 4/13/19.